Being born poor in this world already limits one's future because of a general inequality in opportunity. 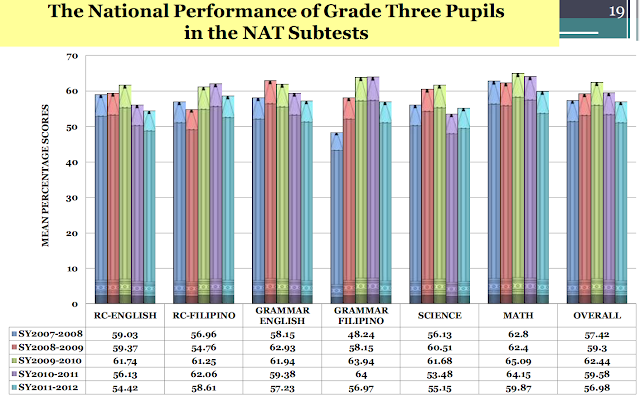 Upward social mobility is often hindered by lack of success in basic education. Fruitful employment is less likely without finishing at least a high school education. Poverty, with its deleterious effects on education, is indeed a difficult challenge to address. 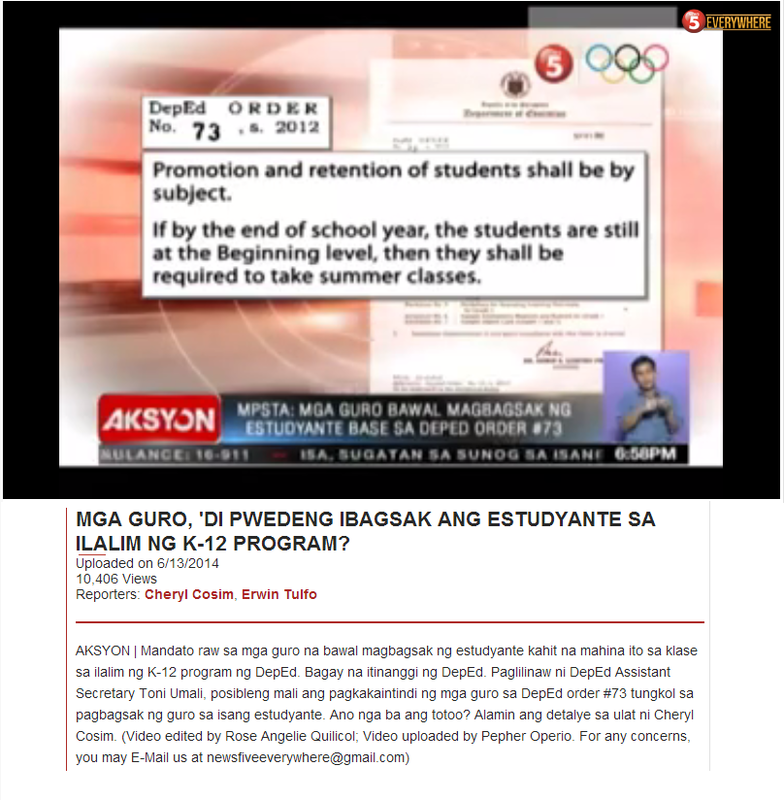 Still, there are ways by which one can alleviate the effects of poverty on education. In the Philippines, the conditional cash transfer program is touted by the World Bank as an intervention "proven to keep poor children healthy and in school". Of course, surviving is different from thriving. One needs an intervention that have much broader impact. With this task, it is necessary to find other factors aside from poverty that can have a significant impact on education. Apparently, there is one that affects families, regardless of income: The presence of fathers in a neighborhood. 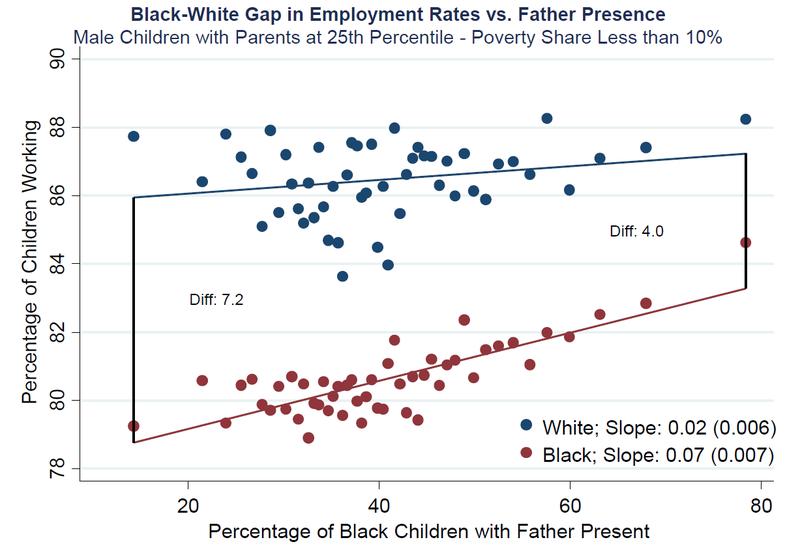 There is a clear correlation between employment rate and the percentage of black children with the number of fathers present. 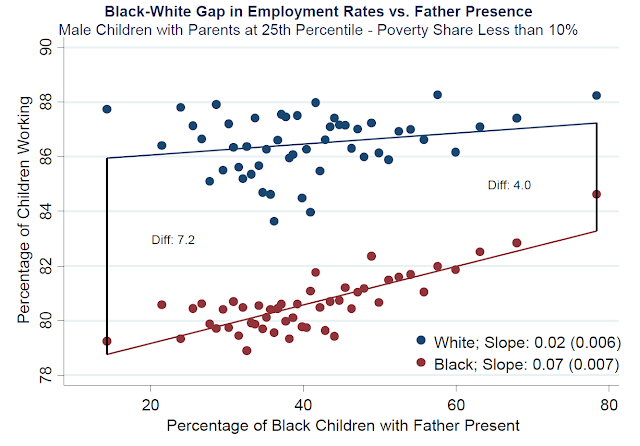 And this correlation is present even with children who do not live with a father. What apparently matters is that there is a large number of fathers in a neighborhood. It is more of a neighborhood than a family effect. What is amazing is that white children outcomes are also positively affected (although more mildly) by the percentage of black children with a father present in the community. The above perhaps demonstrates that it does take a village to raise a child. The neighborhood counts. And the number of male adults who are involved in raising children in a community matters.